Anti-aging technology is a relatively recent term, yet it means different things to different professionals. For scientific researchers, it has to do with biotechnology and preventative medicine. For physicians and their patients it’s more about reducing the effects of and even reversing the signs of aging. But what does it mean when it comes to medical esthetics? How will tomorrow’s anti-aging technology keep clients looking as young as they hope to feel? Even in its short history, anti-aging technology has come a long way. There are many products available that claim to refresh, renew or rejuvenate skin, but promises alone don’t get rid of wrinkles. However, results speak for themselves. Thanks to significant scientific advances in laser- and light-based technology, as well as injectables, clients no longer have to cross their fingers with faint hope that in six-to-nine months, their skin might look a tiny bit firmer. Much of today’s technology delivers quick—if not instant—results. It’s now easy to take off five years or more in a treatment that can take less than 30 minutes, and those numbers will only continue to improve. When cosmetic laser- and light-based tightening treatments were first introduced, it was with the old adage in mind, “More is more.” Higher energy levels created more tissue injury and, in the process, significantly more associated pain. Time has revealed that the exact opposite is true: less is actually more. Lower energy levels delivered via multiple passes over the skin produce a superior result with greater patient comfort. One of today’s most popular skin-tightening treatments uses fractionated bipolar radiofrequency (RF) technology, which places the heat energy effectively into the dermis where it produces maximum result with minimal injury to the skin. This modality is used to tighten and contour skin, including sagging under and above the eyes and along the jaw. As an added bonus, RF can be used on all skin types with virtually no downtime. High-frequency ultrasound waves also can be used to break down fat and ease the process of body contouring with the hope to eliminate the need to more invasive surgical intervention. Crystal ball. Tomorrow’s skin-tightening treatments will deliver multiple results. Not only will skin be firmer and tighter in less time, but lasers, intense-pulsed light (IPL) and RF will be used in combination to simultaneously minimize pore size, improve texture, eradicate broken blood vessels and increase collagen production. Cellulite, occasional or regular acne flare-ups, enlarged pores and stretch marks are among the host of other skin-related concerns that top many client’s lists. In the past, these have been some of the more difficult conditions to treat, but we certainly haven’t given up hope. Conventional wisdom dictates that these particular conditions can be markedly improved upon, but not necessarily eliminated. The appearance of cellulite can be reduced temporarily with topical circulation-boosting stimulants, such as caffeine, while RF technology and lasers tighten skin and break down fat. Acne of most types responds well to IPL. Enlarged pores look less so with chemical peels and non-ablative lasers. Finally, stretch marks, whether caused by pregnancy, genetics or weight fluctuation, are faded with the help of UV lasers that disrupt molecular bonds in skin tissue. Crystal ball. As technology continues to improve, so will the capabilities of these treatments. The industry is already well on its way to doing more than simply managing the above-named skin concerns—eventually, we’ll eliminate them. Not so long ago, there was only one way to deal with both wrinkles and lines, and that was with a facelift. However, pulling the skin tightly back often leaves the telltale sign of surgery—a look that is done and unnatural. Youthful-looking skin is not tight and drawn but actually plump and full. Fillers such as Radiesse* can be used in the cheeks to replace lost volume, while Juvéderm** is injected in nasolabial folds to eliminate marionette lines and in lips to add fullness. One of the reasons injectables have become so popular—besides the fact that they work—is that practically anyone can use them. Mature clients can correct age-related skin concerns, while younger clients can take preventative measures. Botox, for example, temporarily inhibits the muscle it’s injected into from contracting in the first place. In the short term, skin looks smoother and less wrinkled, and over time, future wrinkles caused by repetitive motion, such as squinting and frowning, are abated. Their cost will eventually decrease due to increased marketplace competition. Scientists also will continue to discover new esthetic uses for injectables, particularly Botox, which is now used to temporarily reduce excessive sweating, fix a gummy smile, and even provide a short-term nose job by injecting a small amount under the tip to lessen the appearance of a hook. Similarly, hyaluronic acid fillers can be injected off-label in places like the bridge of the nose to create a slimmer appearance and to smooth out bumps and imperfections. Minimally invasive procedures offer appreciable results without the costs and concerns of undergoing the knife. Another term that’s gaining recognition in the medical esthetics world is “fibroblasts.” These are cells in connective tissue that produce collagen and other fibers that keep skin both strong and supple. Further down the road, researchers may very well be injecting fibroblasts—either a client’s own or a synthetic version thereof—directly into wrinkles, causing subcutaneous tissue to regenerate and fill in lines. The trend in topical treatments is also toward multi-tasking ingredients delivered in a highly efficient manner with few side effects. An oxygenated facial using a serum that brightens and balances skin, while diminishing hyperpigmentation? It’s already out there. A retinol cream that boosts collagen, reduces inflammation and nourishes the skin, rather than drying it out? It’s most likely around the corner. The trick for researchers in this area is finding or creating ingredients that go deeper into the dermis, are molecularly stable and—at the same time—are time-released and, therefore, less irritating to the skin. Crystal ball. A topical treatment that mirrors the effects of Botox is likely, giving the same result in targeted areas without the need for injections. Interestingly, in recent years, two of the largest injectables manufacturers both purchased well-known skin care companies. More cross-marketing of these products is anticipated because they work very well in combination. One question regarding future topical treatments is whether they’ll remain standalone options or integrated with—or perhaps even replaced by—technology. For example, IPL already is used to eradicate acne-causing bacteria, a terrific alternative to effective, yet harsh topical solutions, such as salicylic acid and benzoyl peroxide. Light-based treatments are also used to accelerate a topical antibiotic treatment. These types of complementary treatments will continue to both develop and improve in the future. Medical esthetics is such an exciting and dynamic business. Advancements in this industry are seen almost every single day. One thing is for sure: The future of anti-aging technology is a highly promising one and I, for one, can’t wait to see what’s next. *Radiesse is a tradename of Merz North America, Greensboro, NC. **Juvéderm is a tradename of Allergan, Irvine, CA. 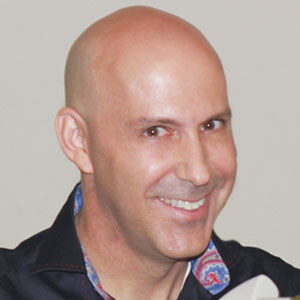 Louis Silberman is the president and founder of National Laser Institute, one of the largest cosmetic laser and medical esthetic training centers in North America. He is an expert in medical esthetics, a medical spa owner and a nationally recognized author, marketing speaker and business consultant who can be contacted at 800-982-6817 or louis@nlionline.com.